What is the Backyard Bay Radio Show? The Backyard Bay radio show is a home improvement show dedicated to the backyard. We’re here to help turn that ordinary space behind your house into your own personal resort-style Backyard Bay! Your Backyard Bay starts with a clean clear swimming pool that’s fun to own and easy to maintain. From water chemistry to building a new pool, you’ll find helpful tips and time-saving information right here! 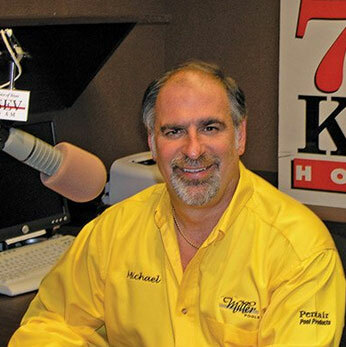 Tune into the Backyard Bay Radio Show Saturdays 11AM-12PM on 700AM with Michael Miller as he discusses the ins and outs of swimming pools and spas. Michael Miller is a swimming pool expert with years of experience in repairing swimming pools and spas. He is the owner of Miller Pools based in Pasadena, Texas. His years of experience and dedication to the swimming pool and spa industry has given him the opportunity to share with the public about the ups and downs of pool ownership.